'Over the past few years, people in Germany, myself included, have sympathised deeply as Greece has fought to repair its economy,' Weidmann said. 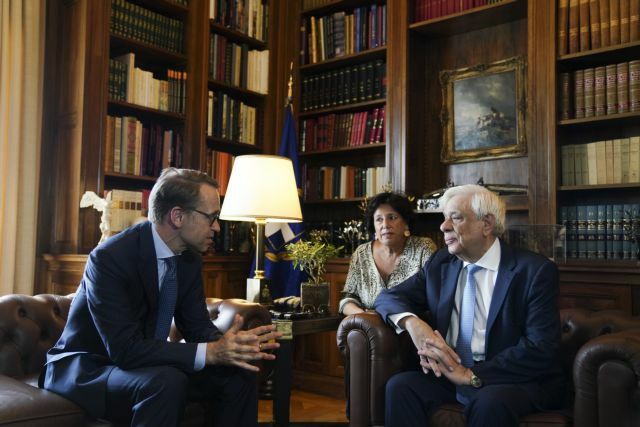 The course of Greece and its economy after the completion of the third bailout memorandum was the focus of Deutsche Bundesbank President Jens Weidmann’s talks in Athens today with Greece’s political leadership. "The talks in Athens will allow me to learn more about the reform process through which the Greek government seeks to boost economic activity and increase employment levels," Weidmann told Ta Nea in a statement. "Over the past few years, people in Germany, myself included, have sympathised deeply as Greece has fought to repair its economy," Weidmann said. "We hope for a strong, prosperous partner country whose citizens feel that they will benefit from the upcoming economic recovery," he underlined. Weidmann also delivered a major address to the Hellenic Bank Association (see blow). Weidmann supports the elimination of the European Central Bank’s loose monetary policy, and insists on the continuation of reforms. Weidmann has extensive knowledge of the realities in Greece and played a leading role in the Greek crisis, in his capacity as German Chancellor Angela Merkel’s economic advisor in 2010, when Greece signed its first bailout memorandum, and later as chief of the Deutsche Bundesbank as of 1 May, 2011. Today, Weidmann is considered the favourite to succeed Mario Draghi in October, 2019, as president of the European Central Bank, even though he has not officially announced his candidacy for the position. The full text of Weidmann's major address to the Hellenic Bank Association can be found at the link below.